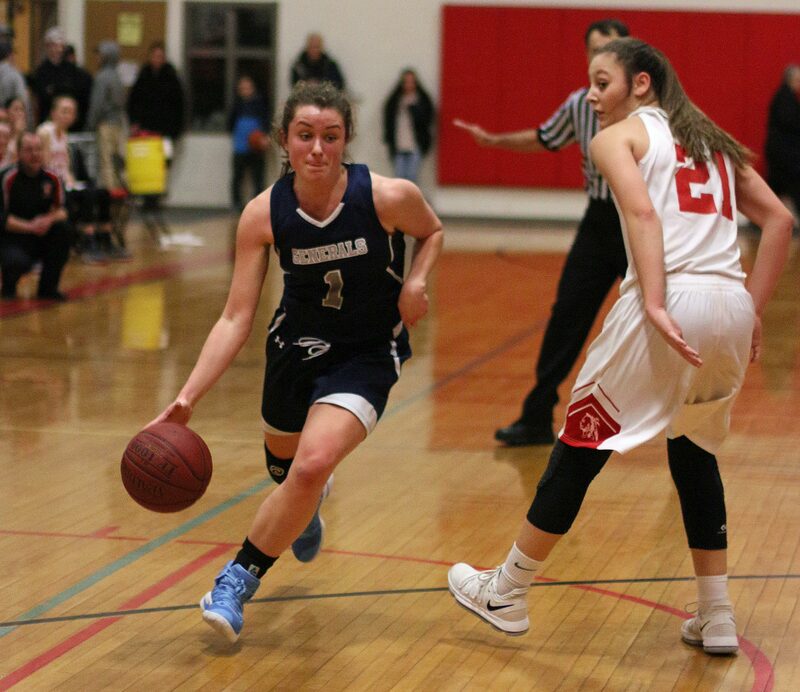 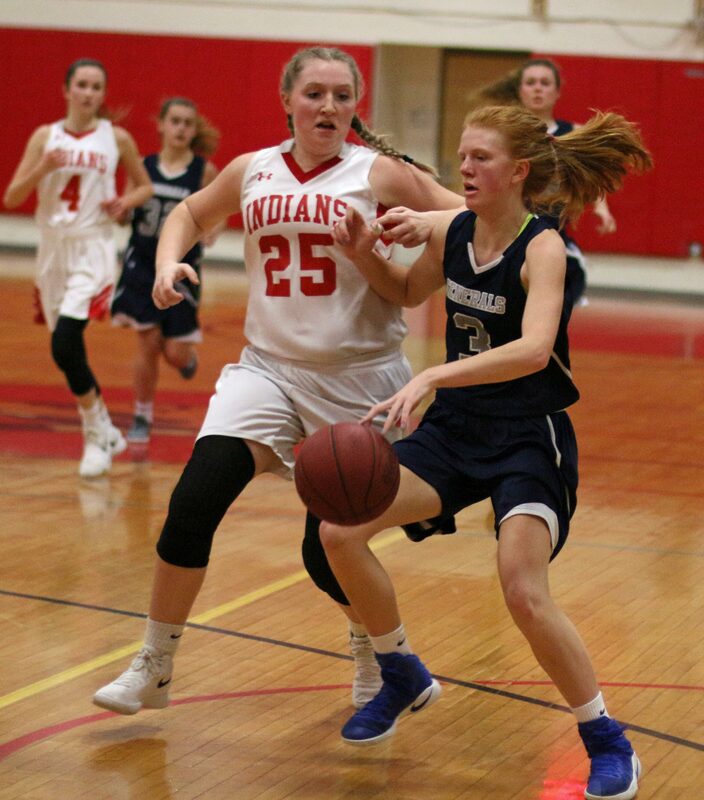 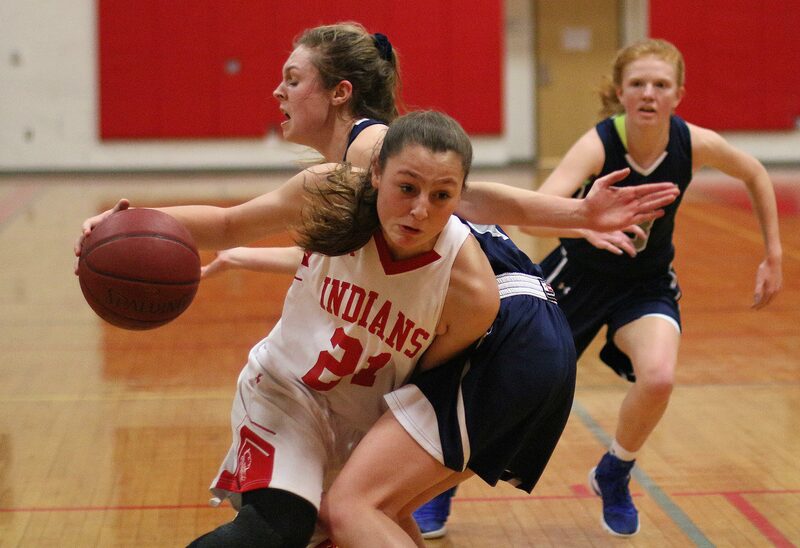 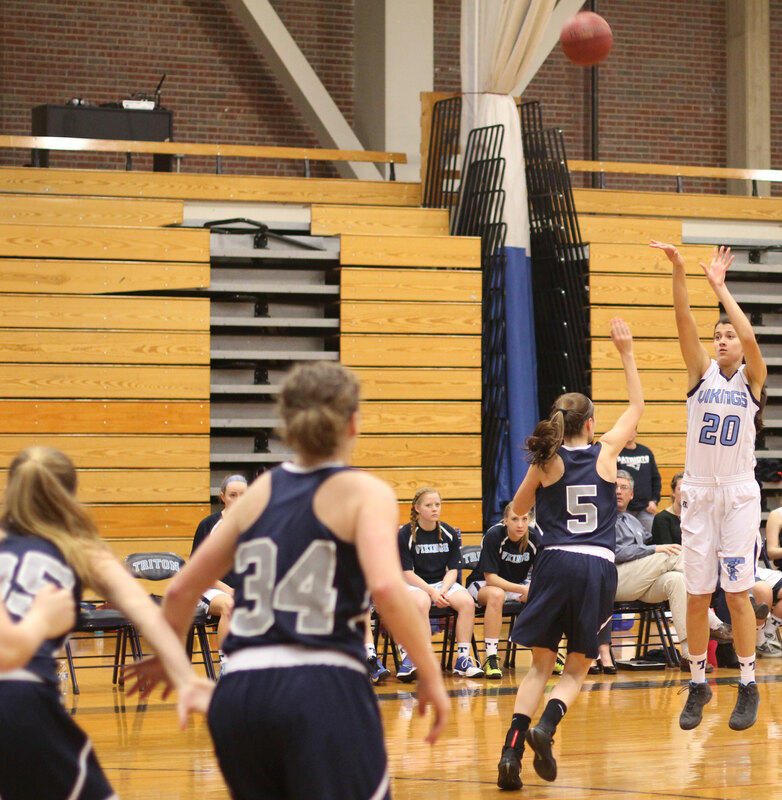 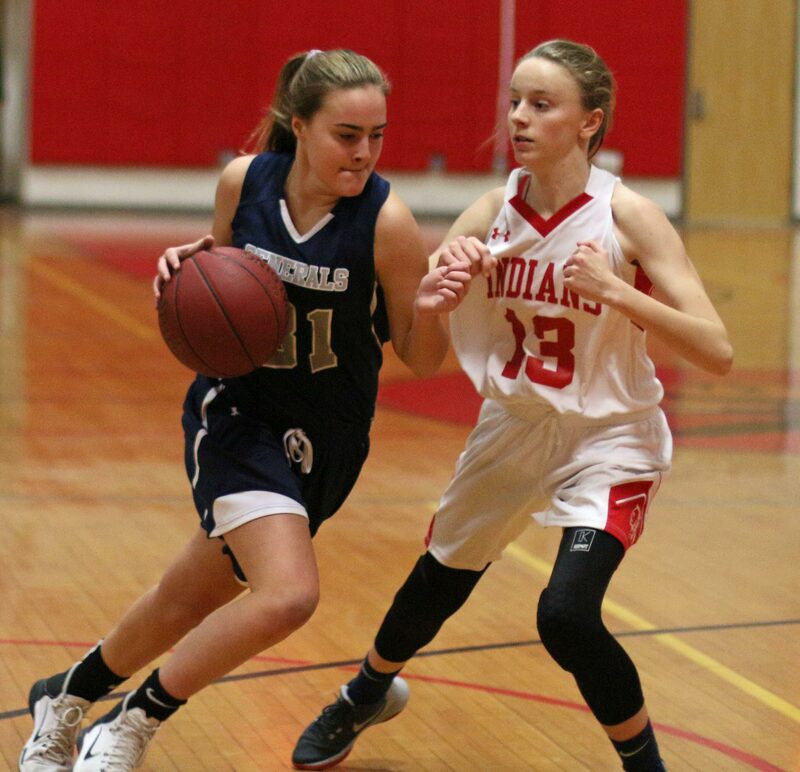 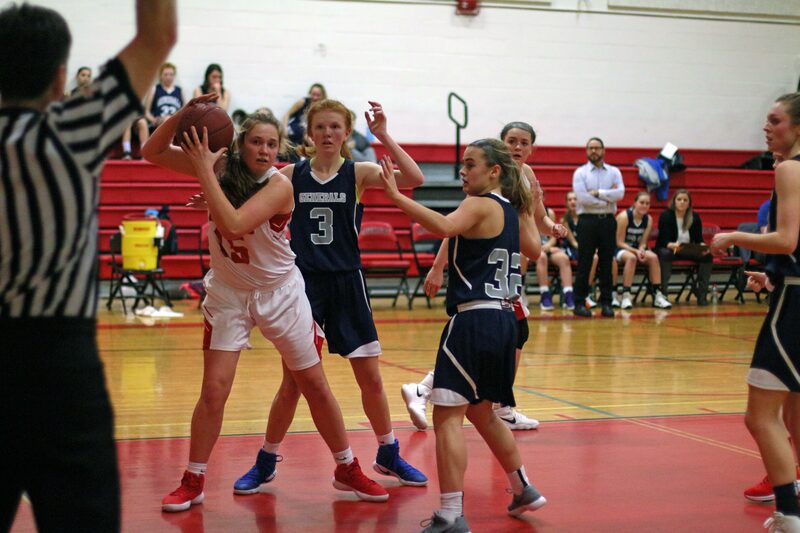 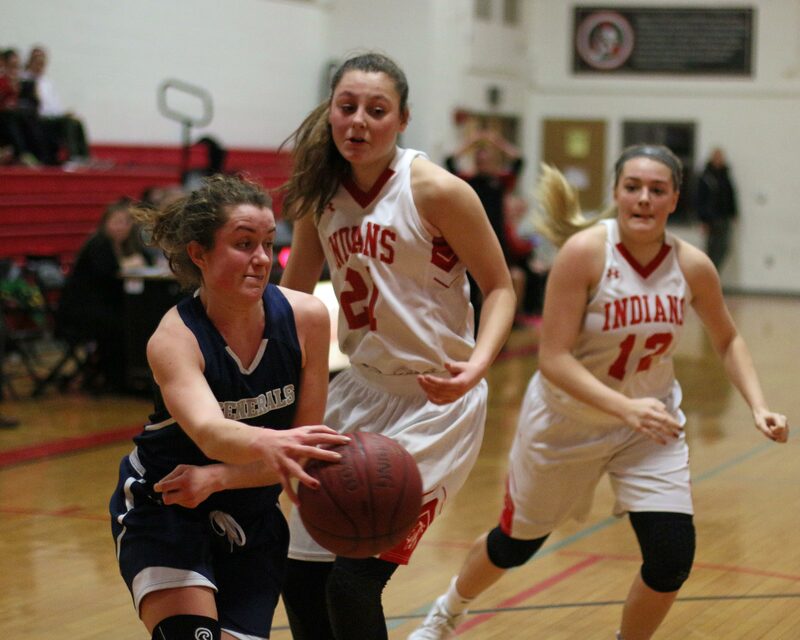 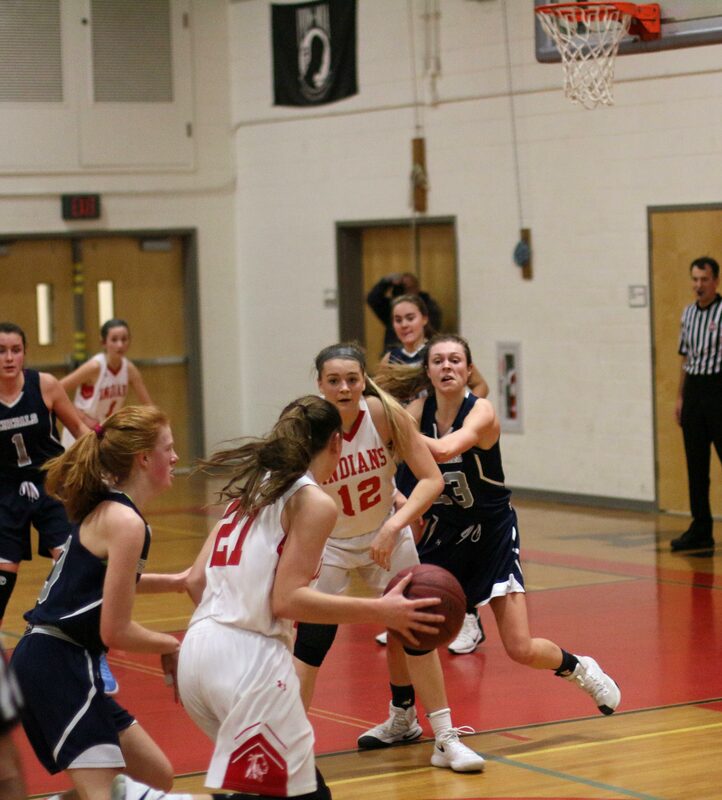 (Byfield MA) Triton scored nineteen straight points during the first half and easily defeated cold-shooting Hamilton-Wenham, 36-19, on Friday night in Cape Ann League action. 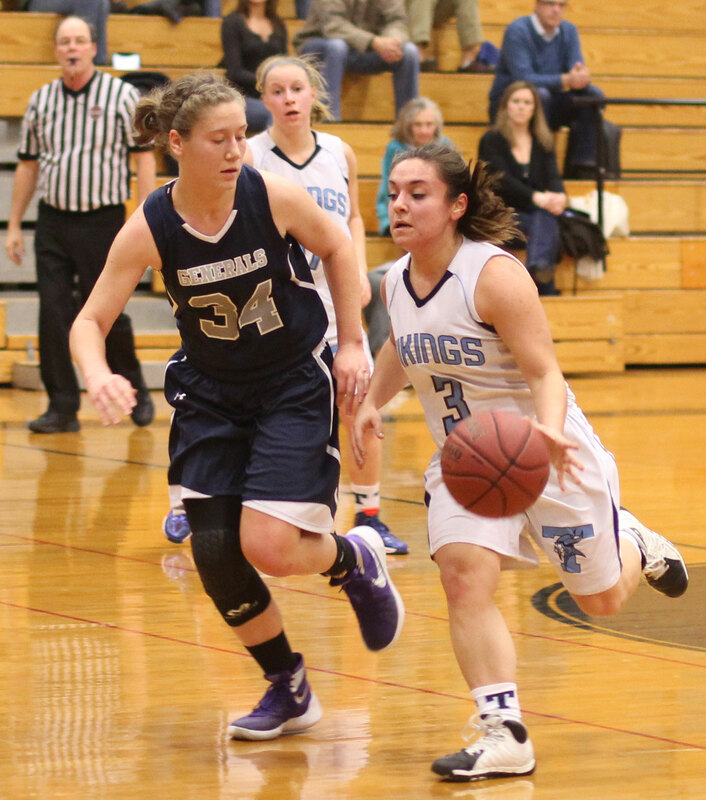 Tessa Lafrance (19 points) paced the Vikings. 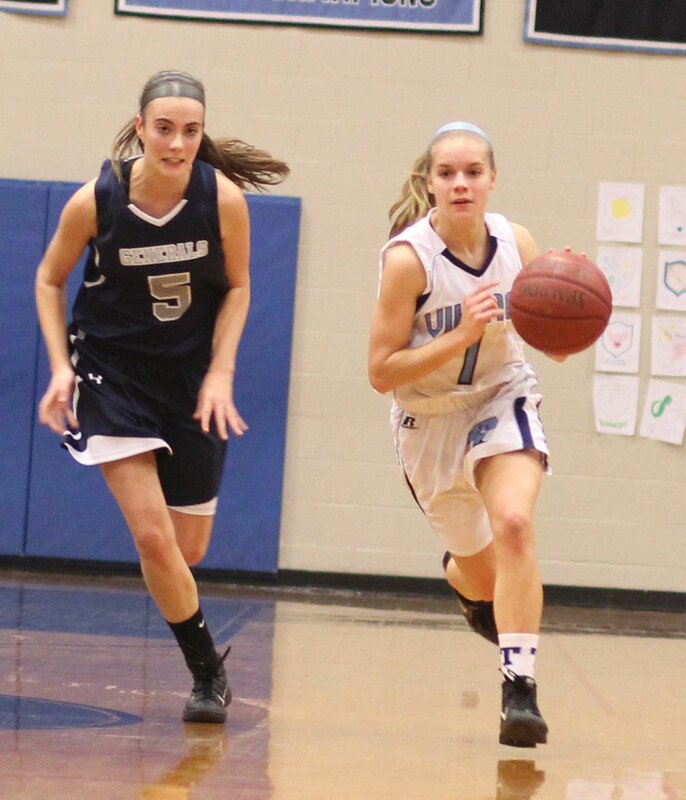 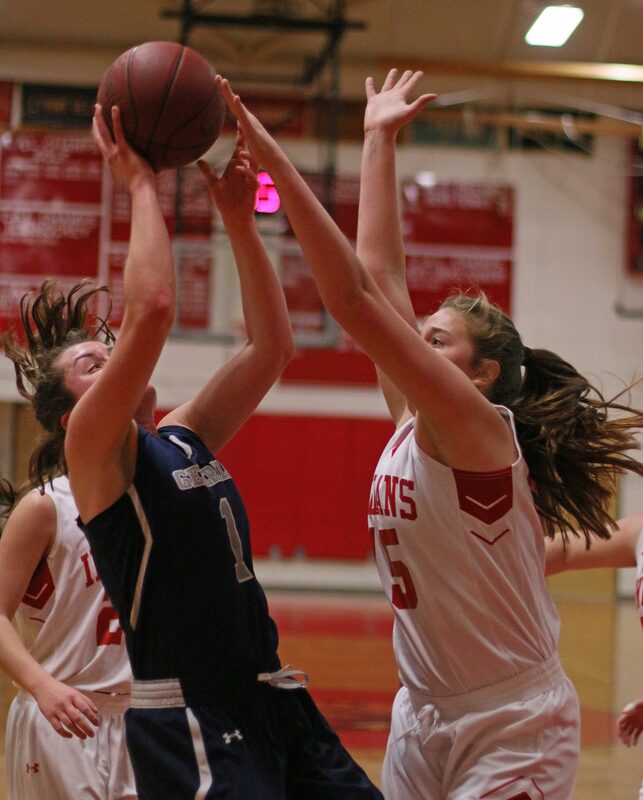 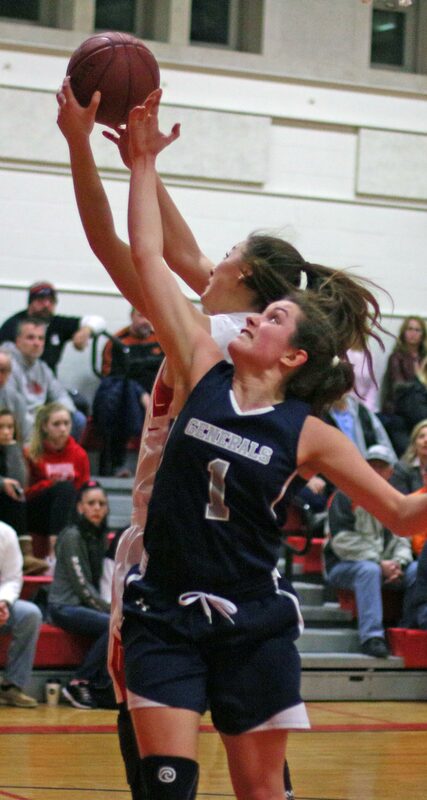 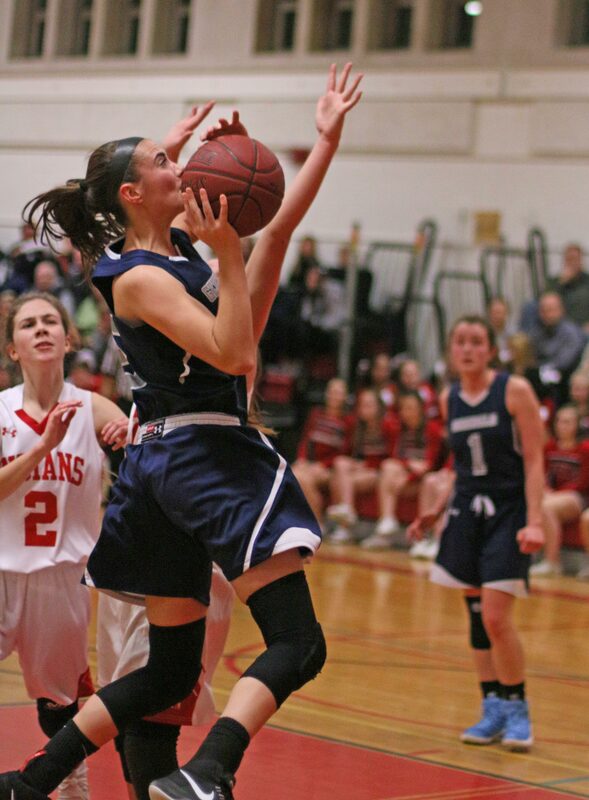 Hamilton-Wenham (4-4) started fast with layups by Cate Blatchford and Cecily Szady but after that the home team was the only team making shots for over twelve minutes of playing time. 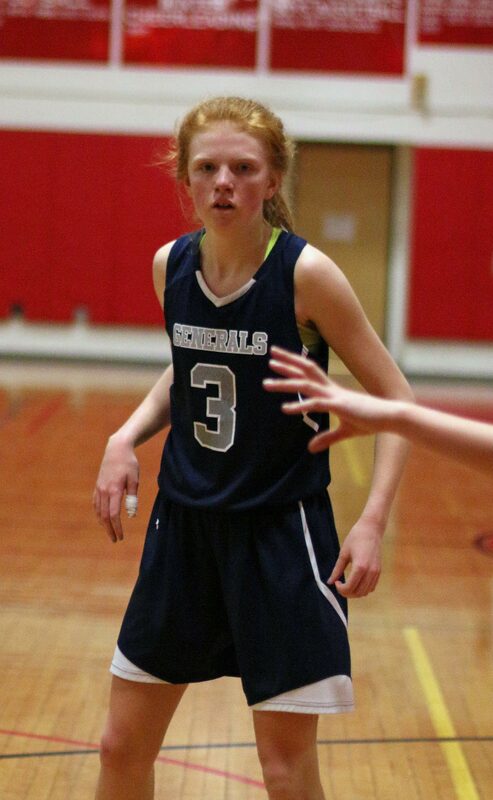 Kelly Walsh did miss four free throw attempts during the disastrous segment and there were five turnovers but it was the shooting from the floor that killed the Generals. 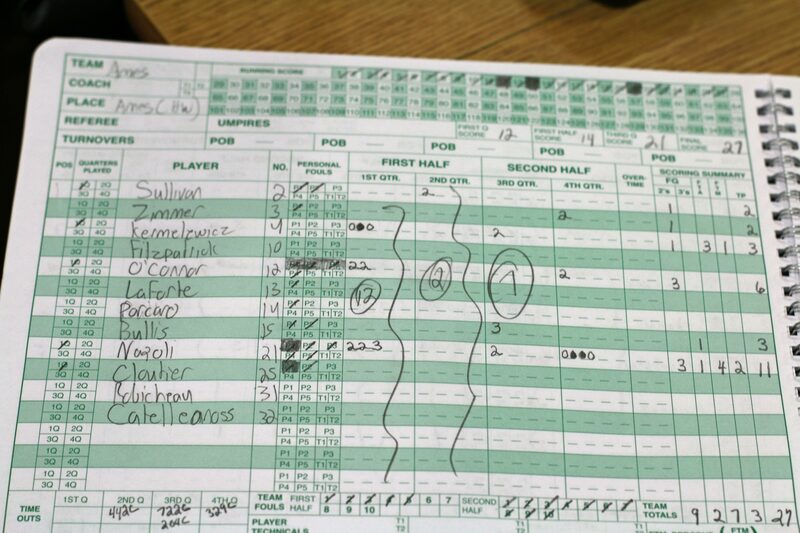 My research told me that HW was intent on pressuring full-court but in order to do that a team has to make shots and that just didn’t happen on this evening. 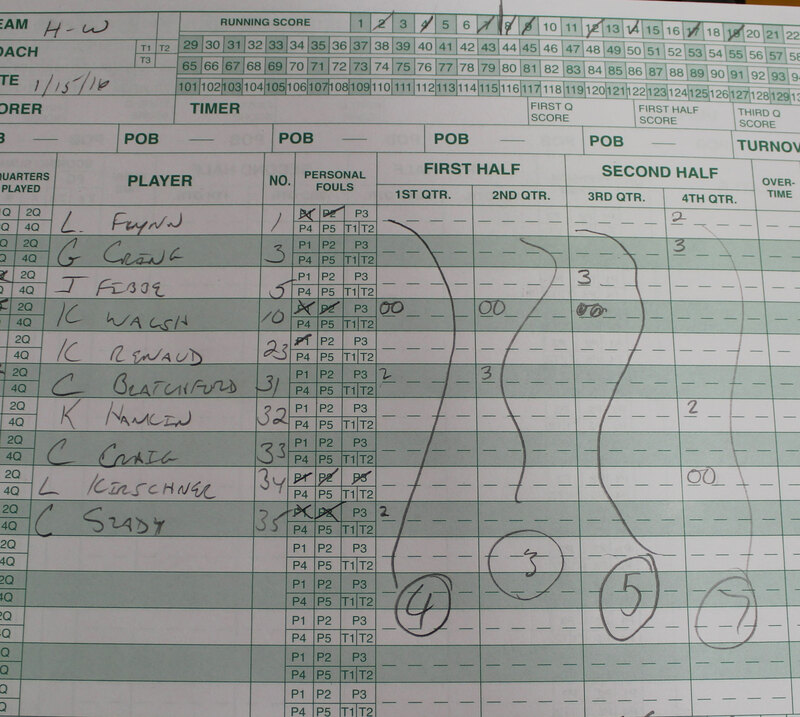 Tessa had ten of her points during the nineteen-point run. 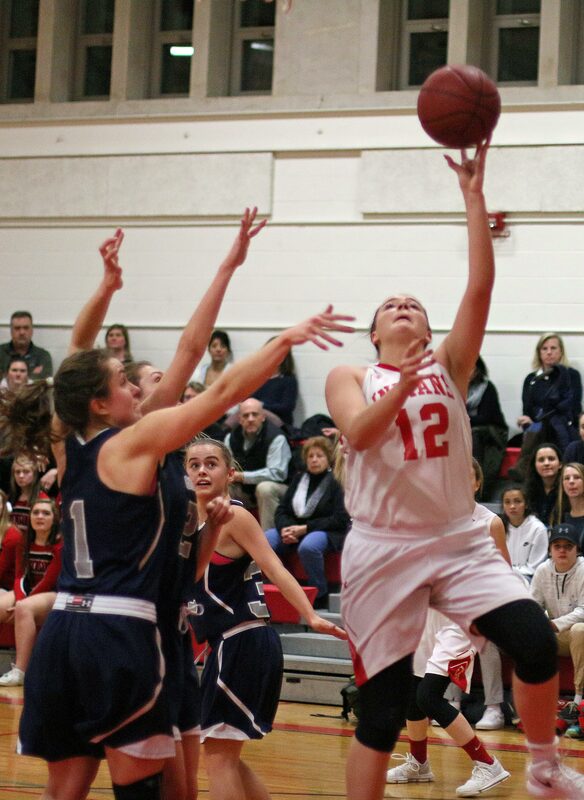 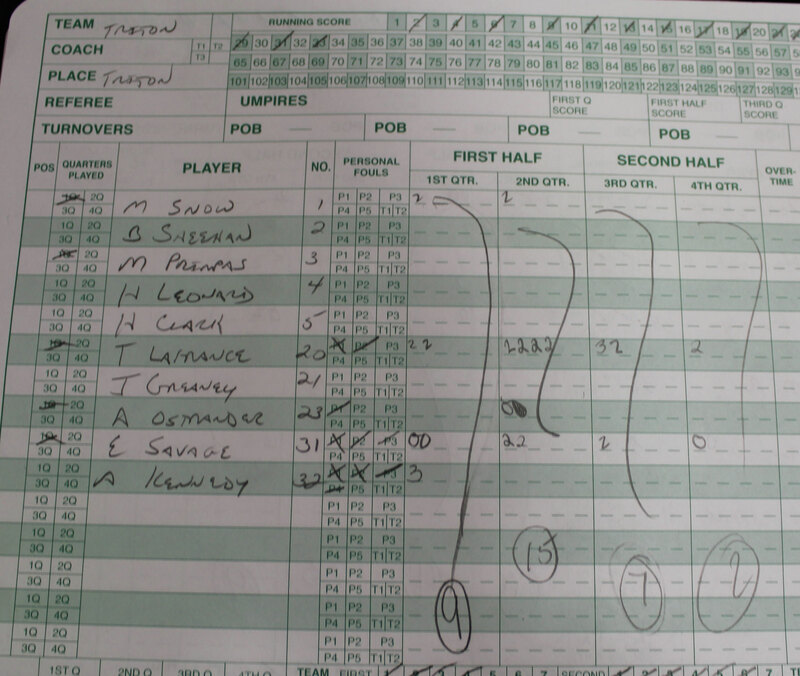 Other contributors were Erin Savage, Morgan Snow (4 points), and Alexandra Kennedy (3-pointer). 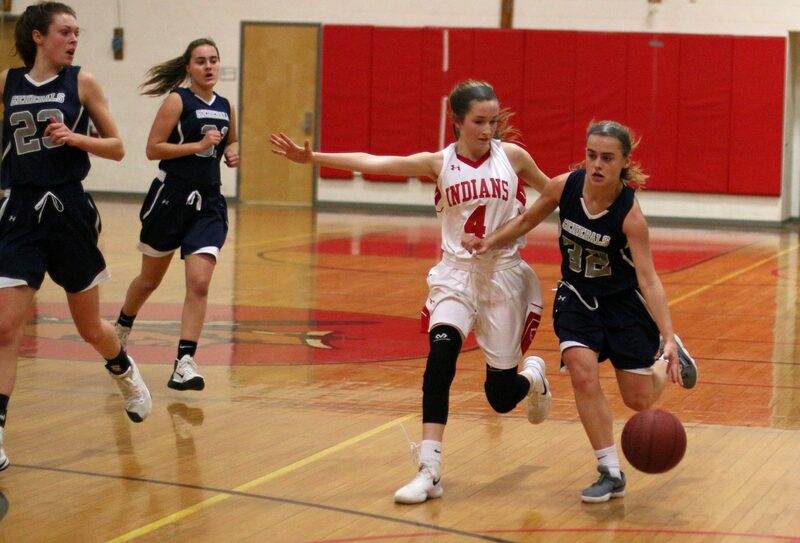 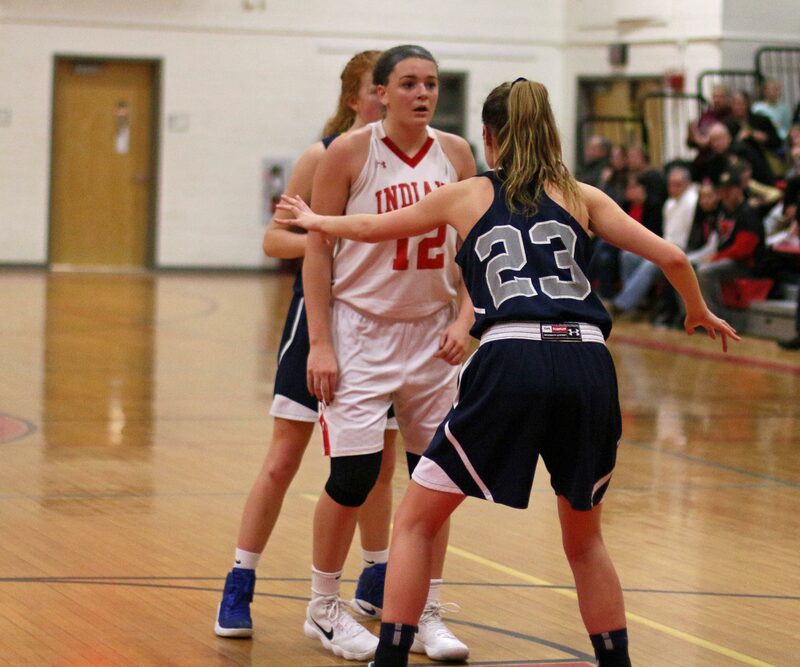 The best moments for HW were at the start (quick 4-0 lead) and at the end when they shut down Triton for the final 4 ½ minutes, created six turnovers, and tallied seven points (Lauren Flynn, Kristina Renaud, and Haley Rivers). 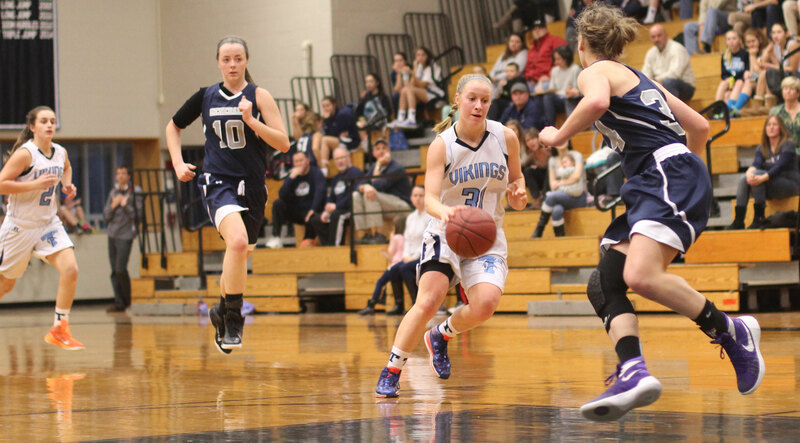 The Vikings (5-4), other than in the final 4 ½ minutes, handled HW pressure with good passing. 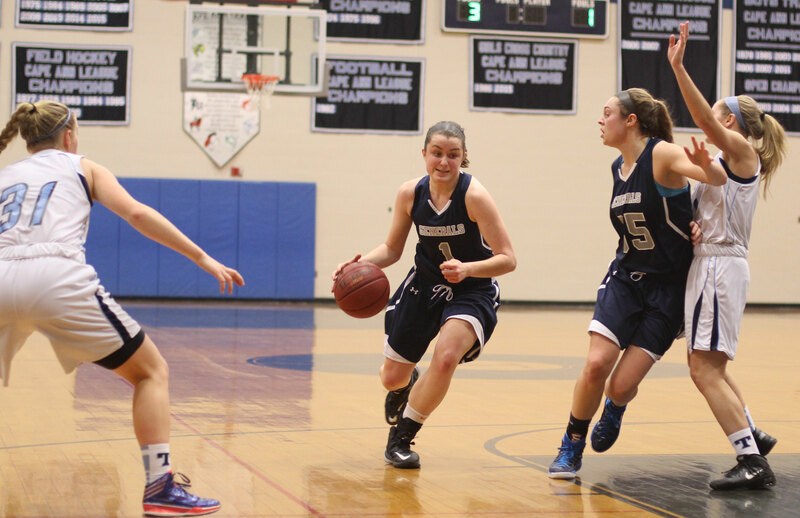 Credit Mel Primpas, Morgan Snow, and Erin Savage for preventing costly backcourt miscues. 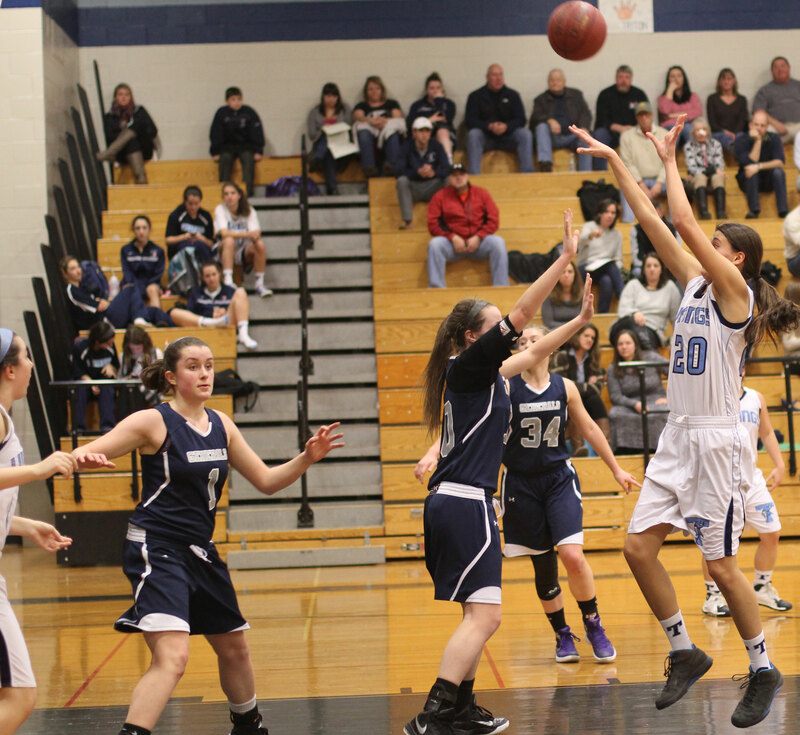 6’ Tessa Lafrance was a matchup nightmare for the shorter HW squad. 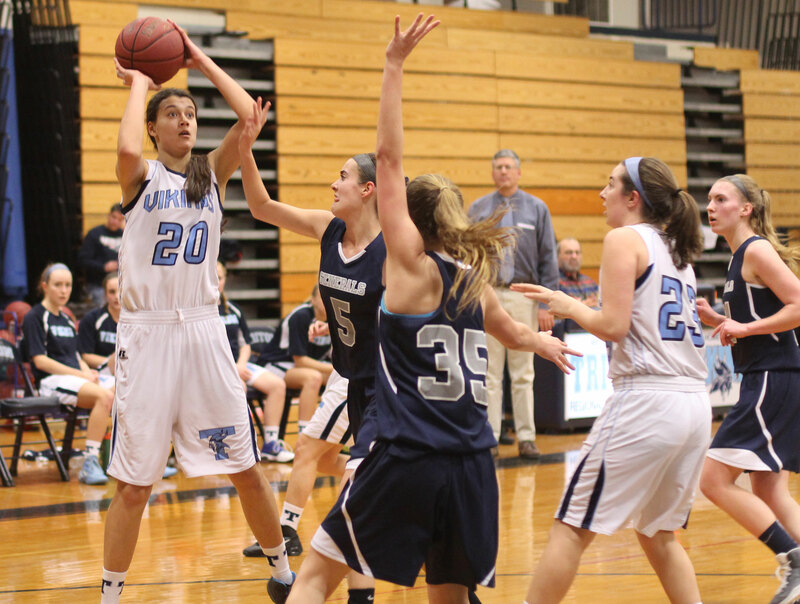 Tessa can take and make from long range, although she had only one from long range versus HW. 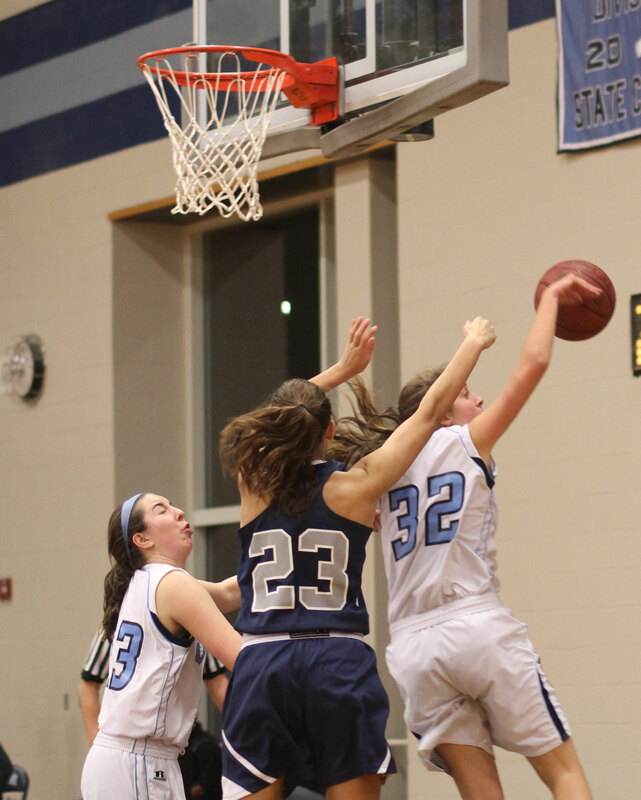 Closer to the basket, however, Tessa’s height and strength overwhelmed the Generals. 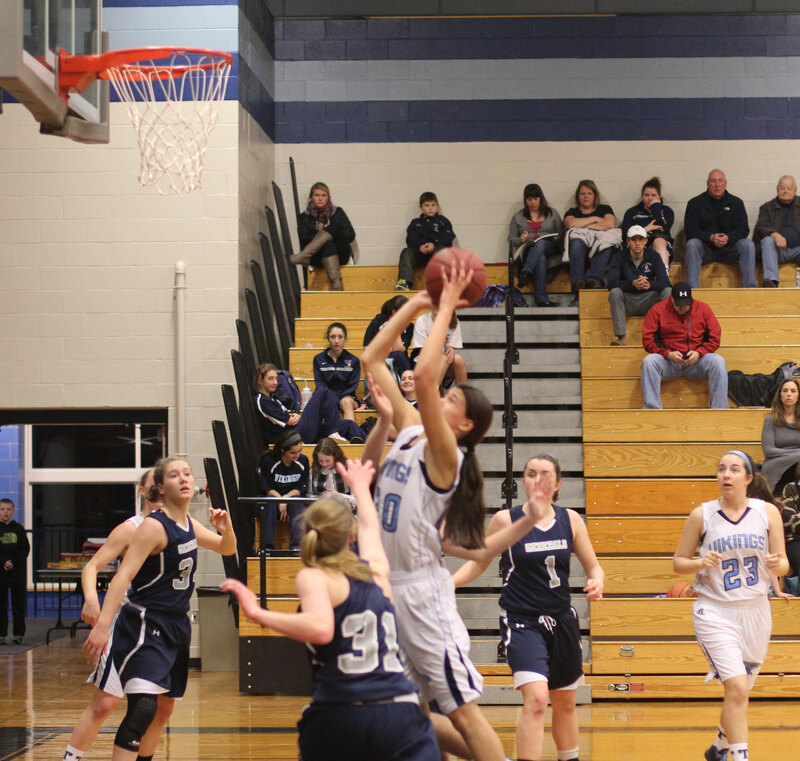 And from what I saw in this game, her teammates will find her when she’s in close. 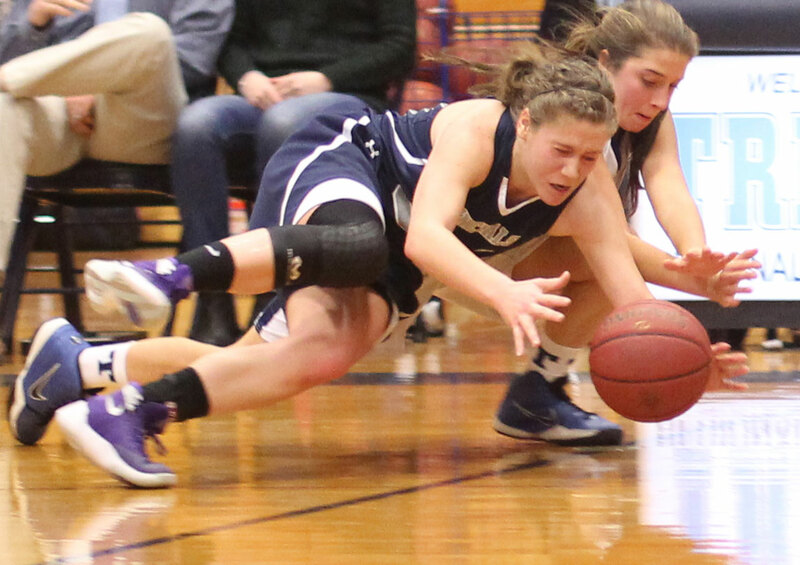 Erin Savage collected several assists this way. 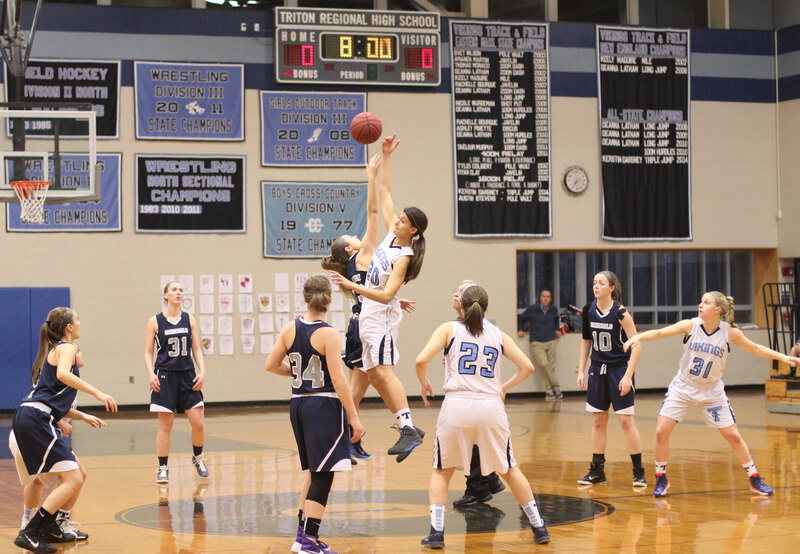 Best pass of the game may have been Alexandra Kennedy’s to Tessa for a layup in the last quarter. 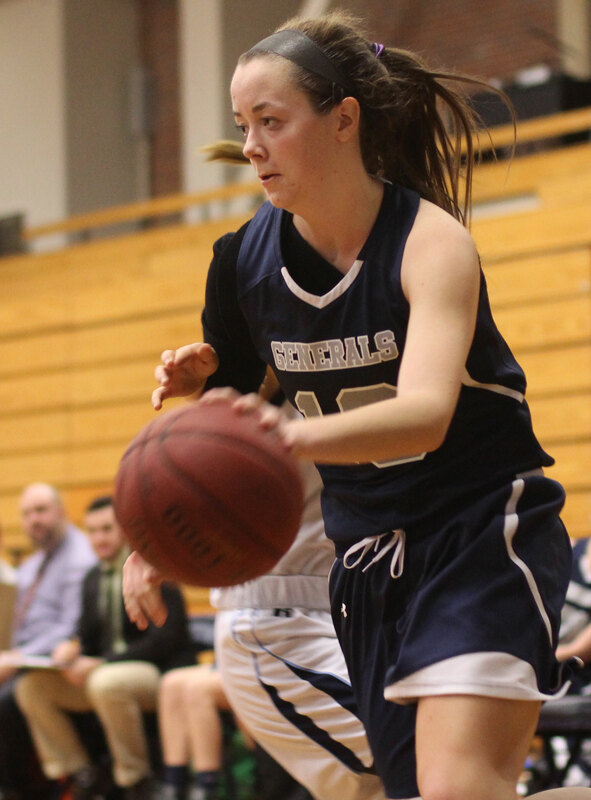 Junior Erin Savage (9 points) was a crowd pleaser early in the 4th quarter when she rebounded a Tessa miss, scored and was fouled. 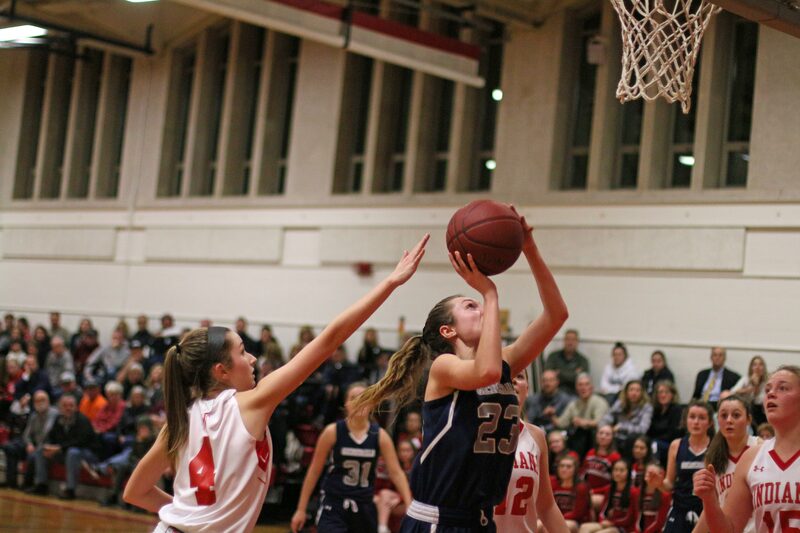 Both teams return to action on Monday night (6:30PM). 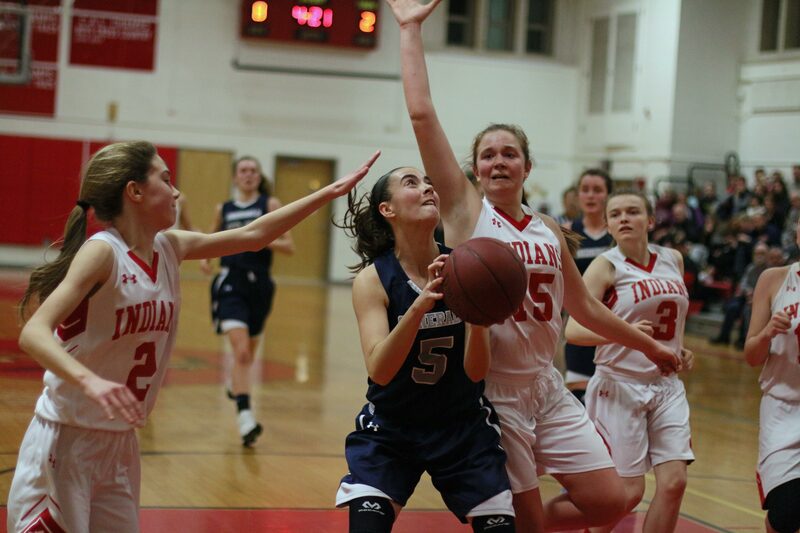 Triton is at Amesbury while HW hosts Pentucket. 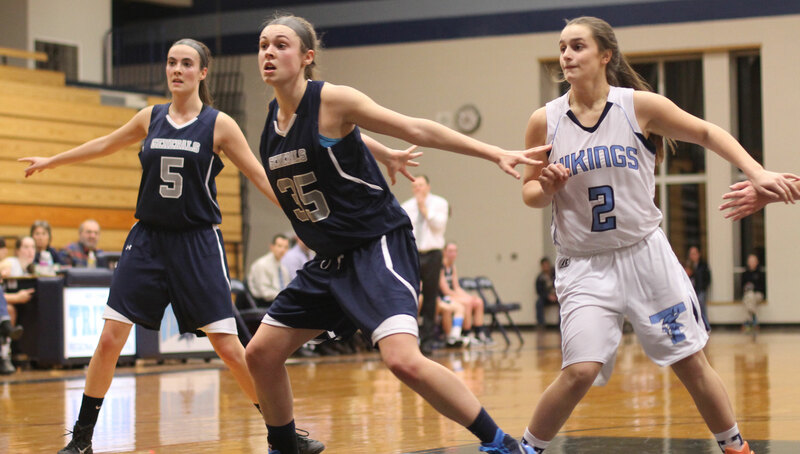 Hamilton-Wenham was 2-18 last season with one of those wins being in their opener over Triton, 52-50. 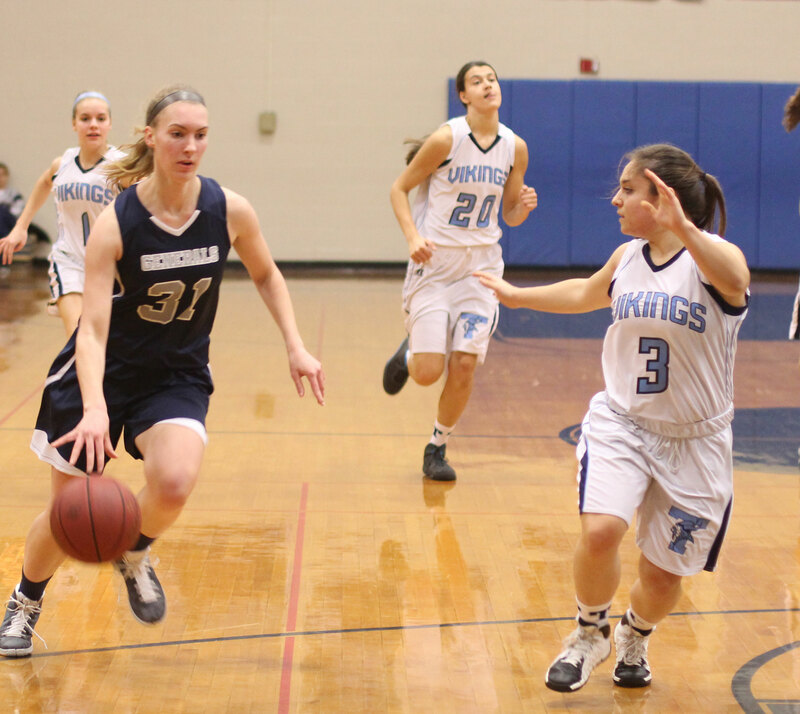 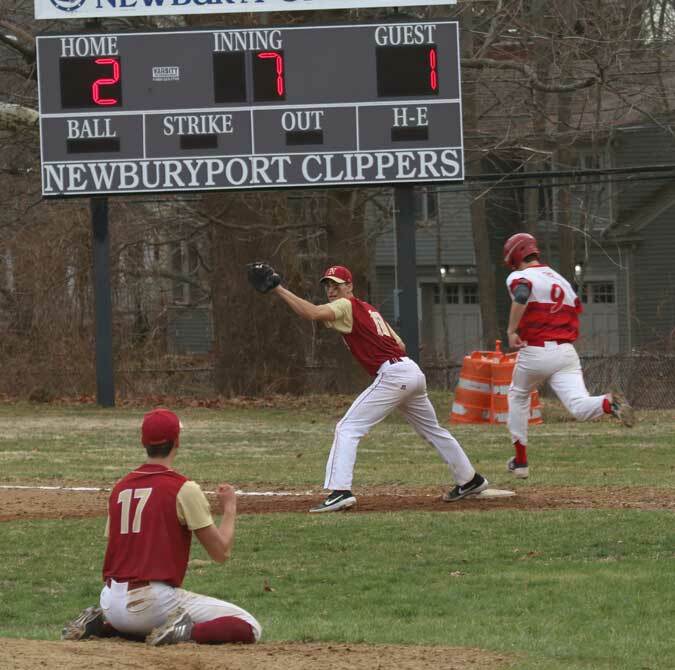 Triton was 11-11 last season going out in the D2 North first round to Wakefield.